We all have a philosophy of life, and we can usually look back and see that its seeds were planted early. Influenced by time and chance, a little nurture and a little nature, history and experience, these early ideas mature: the imagined realities of childhood give way to more reasonable perceptions. And as the innocence of a child’s sense of the world erodes over time, the fantasyland of first insights is reworked into the more pragmatic banners that guide an adult life. It’s therefore unusual to find someone who not only retains those early views but builds a whole superstructure of philosophical meaning atop them. Ayn Rand was such a person. At the heart of her belief is the conclusion that humans are heroic beings, meant to overcome nature through the power of rational thought. “Check your premises,” she would often say, insisting that a logical analysis of facts would always lead to right conclusions. “Rationality is man’s basic virtue, the source of all his other virtues,” she wrote in 1961. “The virtue of Rationality means the recognition and acceptance of reason as one’s only source of knowledge, one’s only judge of values and one’s only guide to action. . . . It means a commitment to reason, not in sporadic fits or on selected issues or in special emergencies, but as a permanent way of life” (“The Objectivist Ethics,” in The Virtue of Selfishness). Later termed “enlightened self-interest,” these tenets of her philosophy (itself dubbed objectivism for its basis in objectively, rationally defined reality) place individuals at the center of their own universe. It is a worldview that insists that the fullness of human potential can be achieved only through individuals serving their own self-interest. Capitalism is the mechanism through which this interest is fulfilled. The primary interest of objectivists, Rand wrote in her introduction to Capitalism: The Unknown Ideal, “is not politics or economics as such, but ‘man’s nature and man’s relationship to existence’—. . . we advocate capitalism because it is the only system geared to the life of a rational being” (Rand’s emphasis). 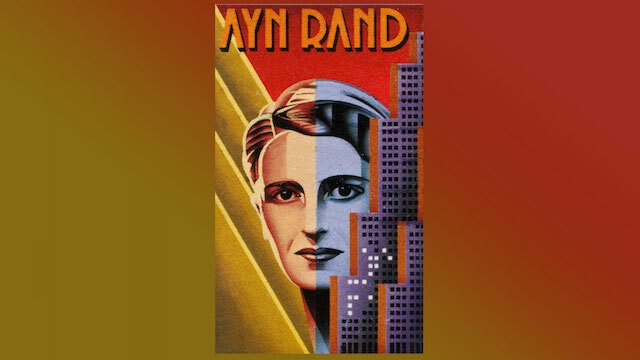 Today, more than 27 years after her death in 1982, Rand’s works—including her great objectivist flagships The Fountainhead (1943) and Atlas Shrugged (1957)—continue to attract annual sales of several hundred thousand copies. Thousands of secondary school students are introduced to her philosophy through participation in an annual scholarship essay contest sponsored by the Ayn Rand Institute. But it is not just adolescents who have identified with her fiction. Many notable leaders including former Federal Reserve chairman Alan Greenspan and the chief economic advisor to Russia’s former president, Vladimir Putin, note Rand’s influence in their lives. Clearly her ideas have touched many sectors of the modern world. Indeed, there are those who strongly believe it is imperative to acknowledge and remove all barriers to Rand’s laissez-faire capitalism and thus allow pure human self-interest to run free (see “Capitalism: Unknown Ideal?”). Only then, adherents argue, will humans ever experience true satisfaction. Certainly Rand vehemently believed that such freedom would produce only good fruit. But before we all absorb her philosophy of self-interest, it would serve our best interests to understand the inspirations and shortcomings of her thinking. Born Alisa Rosenbaum in St. Petersburg, Russia, in 1905, Rand was the first of three daughters. Highly independent and disinterested in her mother’s homemaking and social activities, Alisa seemed born with a desire to seek intellectual meaning. While she sometimes spoke with her pharmacist father about issues and ideas, her precocious intellect merely made her something of a trophy child to Mrs. Rosenbaum, to be shown off in her flourishing bourgeois social circle. Rand’s biographer and close associate in later life, Barbara Branden, records Rand’s own recollection of her childhood: “Progressively, as my ideas developed, I had more and more a sense of loneliness. . . . I was enormously unhappy with my position at home; I did not like being a child, I did not like being attached to a family” (The Passion of Ayn Rand). The Rosenbaum household was Jewish but practiced few Jewish traditions, although Alisa’s father conceded that “one never can tell” when it comes to the concept of God. Her mother’s emotional response to things religious, however, served to alienate Alisa. From her observation of her mother’s behavior, she soon came to the conclusion that religion, like social interaction, was simply a branch of emotionalism; and so, as a young teenager, she recorded in her diary, “Today, I decided to be an atheist.” The idea of a God was “rationally untenable,” she subsequently claimed. From an early age Alisa became confident only in her own perceptions—objectively drawn out of her own head (and thus without fault). Without the baggage of emotion and its delusions to mute the intellect, she placed faith only in her ability to think about, rationalize and interpret experience. She would eventually conclude that religion was merely irrational mysticism in the hands of “witch doctors.” The perceived power to arbitrarily influence and leverage people through emotional coercion (or, similarly, through physical or military coercion), was surely evil because it impaired people’s ability to seek their own interests. The “only truly moral motive and the greatest virtue,” she later wrote, was “one’s personal interest.” Self-isolating and lacking empathy, Alisa was building the mental framework from which she would later brand altruism—the giving of self to help others—as subhuman and immoral. Alisa’s peculiar definition of virtue became surprisingly solidified through her mother’s gift of a subscription to a French children’s magazine. Worried by her daughter’s lack of friends and indifference toward school, Mrs. Rosenbaum was seeking anything to spark the girl’s interests. Alisa was soon smitten with serial storylines of the heroic overcoming of adversity and the triumph of good over evil. Within these serials she discovered her hero, whom she later acknowledged as her “personal inspiration”; her deeply embedded vision of “what I want out of life,” she noted, was embodied in a figure named Cyrus. He was courageous, intelligent, intense, “a man of enormous audaciousness, defiant independence,” she gushed years later. Featured in a story titled “The Mysterious Valley,” Cyrus was the symbol of the “heroic man” on which she would layer all of her life’s work. The characters of her fiction—Howard Roark, John Galt, Dominique Francon, Dagny Taggart and their antagonists—and the philosophy she would create to motivate them all, essentially flowed from this childhood impression. It is little wonder that objectivist historians overlook this source of her philosophic inspiration; it is just too simplistic, too childish. While some have strung her concepts to those of Aristotle and John Locke among others, they pass over the reality of her formative experience. However rational Rand claimed to be, the bedrock of her philosophy of life is to be found in the emotionality of a lonely, unhappy child’s connection to a storybook. In a blistering letter to a reader critical of Fountainhead’s characterizations, Rand tellingly responded, “I’m the little girl who has set out (and succeeded) to prove that ethics must be based on man’s self-interest and can be based on nothing else.” This “little girl” had become a big girl who constructed a morality that would forever protect and affirm her own self-interest: to live her version of that heroic life; that is, to convince everyone else that the highest purpose of man was to see the world as she saw it. However correct that observation may be, the premise at the foundation of her objectivist philosophy remains in question. Does the human mind have the capacity to gather all the information necessary to make truly rational decisions? Can man rule himself? is the big question. Certainly Rand was correct when she argued that humans need a philosophy of life lest we become lost in one form of chaos or another. But must that philosophy be limited to only our perceptions of the physical world through physical senses? Being grounded in reality requires a mindset that reaches beyond the physical superstructure down to the spiritual underpinnings of existence. Such a view, contrary to Rand’s assertions, is not arbitrary and it is not mere mysticism. The reality of human nature is embedded in a spiritual realm. It is the essence of what separates the human mind from the animal brain. To deny a nonphysical influence on human thinking leaves one subject to the full power of intellectual vanity, a kind of snobbery Rand unfortunately exemplified in both her life and her fiction. When we insist that there is no source outside of our own limited capacity to calibrate our understanding of life and self-interest, we make a blind idol of our own rationality. Yes, we are clever and perceptive beings, yet intellect is a lonely and flighty watchman. While able to recognize that both good and evil exist, intellect without spiritual insight cannot always clearly discern one from the other. That leaves us stranded in the worst sort of dystopia Rand imagined: a world ruled by the whim of the human mind. In an environment of constantly shifting values and ever-increasing manipulation of information, the temptation to follow the persuasive or the sensational will increasingly challenge our behavior and its motivations. Rand failed to recognize that humans are neither perfectly logical nor perfectly emotional; she misunderstood her own humanity. We rarely have all the facts; our perceptions are skewed by experience and by our natural tendency to stereotype and self-affirm. We are thus apt to draw invalid conclusions. And therein rests Rand’s greatest—if not altogether intended—lesson: in a world where new rationalizations for all manner of behaviors bombard us daily, her instruction to “check your premises” remains especially valid. Indeed, we need objectivity. An objective, fact-oriented view would be especially helpful in evaluating our place and action in the world. If only we could generate such a view from within. When it comes to the issues of self-interest and identity, our objectivity is certainly clouded. The core questions that Rand often posed continue to call out: To what internal fantasies do I still cling? Am I anchoring the foundation of my life on fact or on fiction? These are not one-time but ongoing challenges. They are questions that Rand rightly asked of others but failed to completely answer herself. As we are each liable to do, she refused to look outside her own adolescent self-sufficiency and autocratic mindset for help and so became a slave to her own imagined world. Harry Binswanger (ed. ), The Ayn Rand Lexicon: Objectivism from A to Z, (2009). Barbara Branden, The Passion of Ayn Rand (1986).